I know many parents are focused on giving their children every advantage in life. Because they love their children so much, they want their children to learn multiple languages, send them to the best schools, and enroll them in great music, sport, and art programs. There are some Catholic parents who secretly or openly want their children to become priests and sisters. They want this because they want the best for their children. For the very same reason, other Catholic parents don’t want their children to become priests or sisters! Today, we hear in the first reading that, after she gives birth to Samuel, Hannah says, “As soon as the child is weaned, I will bring him, that he may appear in the presence of the Lord, and remain there forever; I will offer him as a nazirite for all time” (1 Sam 1:22). She then brings him to the house of the Lord at Shiloh. There are two important messages here: 1) God wants to thank you for what you do for your children and affirm you in all your sacrifices for them. It’s often a thankless job, so God blesses you in your vocation. 2) What Hannah does gives us insight into what we should really want for our children. She recognizes that the best she can do for Samuel is to give him to God. There’s a beautiful custom among Catholic parents. 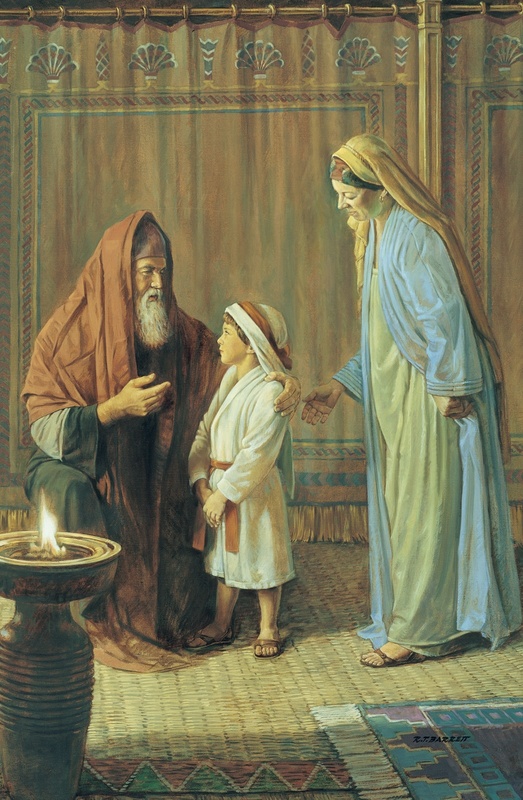 When a child is born, the parents bring him or her to the altar and pray that God watch over the child, and that whatever God wants for the child may happen. Some parents entrust their children to our blessed Mother by bringing them before an image, statue, or altar of Mary. Not only should we want our children to be healthy, do well in school and sports, and have a good life, but most importantly we should want our children to enter heaven. We usually take it for granted that everyone’s going to heaven, but Jesus says otherwise: “Enter by the narrow gate; for the gate is wide and the way is easy, that leads to destruction, and those who enter by it are many. For the gate is narrow and the way is hard, that leads to life, and those who find it are few” (Mt 7:13-14). Our culture loves to distract us from what’s really important. We all know that what’s most important in parenting is God, family, relationships, and character. But the world tells us to focus on making money, getting good grades, doing well in sports and having a good life. If we follow what most people do, then unfortunately we’ll neglect the spiritual parenting of our children. Let’s say one day our children come home from school (they can either be in elementary school, high school, or college), and they ask us one of the most important life questions, “Mom, Dad, what must I do to inherit eternal life?” What would you say? Let me ask it another way: what in our children’s lives would help them to answer that question? You see, I believe that many children are getting an amazing education, learning multiple languages, seeing the world and going to great schools. I believe that sports are very important for the physical, emotional, and mental growth of our children. Getting them to participate in sports, dance, music is important. But none of these things ultimately answers the question, “What must I do to inherit eternal life?” The best thing we can give our children is the answer to this question because, in the end, languages, sports, education won’t help anyone to enter into heaven. And there’s no point to any of these things if we don’t enter heaven. Jesus asks, “What will it profit a man, if he gains the whole world and forfeits his life?” (Mt 16:26). In other words, what’s the point of getting the best education, excelling in sports and music if we go to hell? So what’s the answer to the question? It is not, “Be a good person.” In all the time I’ve been with you I’ve never preached that you should be good people. Why? Because it’s vague: what does it mean to be a good person? Everyone in Canada is already a good person. I wouldn’t be telling you anything helpful. ‘Being a good person’ is also minimalistic: it just means go along with the flow and don’t do anything that is unpopular in our society. ‘Being a good person’ also has nothing to do with Jesus, which is why He never taught anyone to ‘be a good person.’ I would dare say we shouldn’t teach our children to be good people because being a good person isn’t enough. The answer to the question, “What must I do to inherit eternal life?” is “Keep the commandments.” This is the answer Jesus Himself gave (Mt 19:17). We want the best for our children so let’s teach them to observe the commandments. The greatest commandment isn’t to be a good person. The greatest commandment is: “The Lord our God, the Lord is one; and you shall love the Lord your God with all your heart, and with all your soul, and with all your mind, and with all your strength’” (Mk 12:29-30). Let’s teach our children to put God first in all their choices, to follow His commandments, to imitate Jesus, to love His body, the Church. Let’s teach them to pray, to forgive other people from the heart, to serve other people, etc. 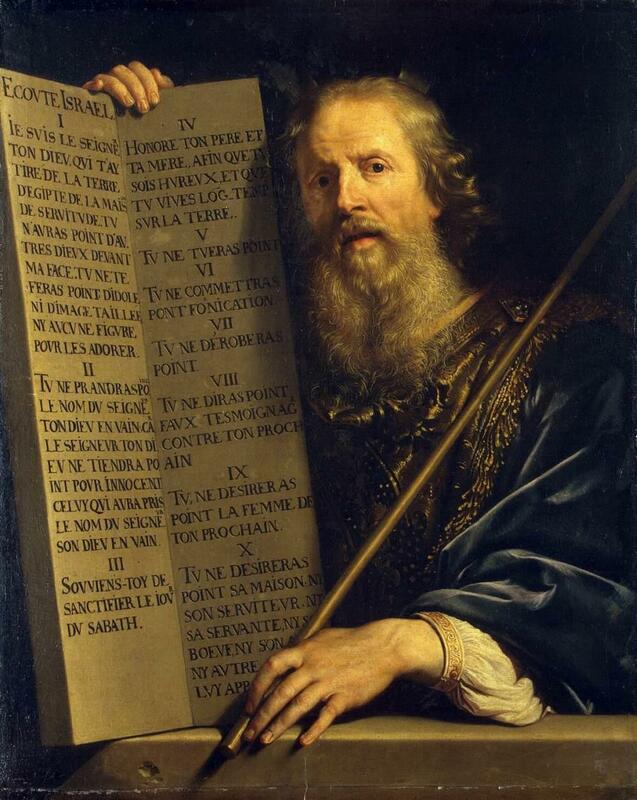 Of the ten commandments, let’s focus on one of them, because, in many ways, it’s the easiest to observe. The third commandment is, “Remember the sabbath day, to keep it holy,” which includes taking our children to Mass every Sunday. Jesus says if we do not receive Him in the Eucharist, we have no life in us. When we realize that the greatest gift we can give our children is the Eucharist, then we’ll bring them to Mass every Sunday. This has been a belief of every Christian since the beginning. Christians died in order to go to Mass. Even though today we may make excuses about why we don’t come to Mass, none of them are good enough. None of them competes with Jesus’ teachings on the Eucharist. The constant and official teaching of the Church is that the third commandment is fulfilled by participating at Mass every single Sunday and Holy Day of Obligation, which in Canada is Dec. 25 and Jan. 1. Coming to Mass 70% of the time isn’t the teaching. Coming to Mass 95% of the time isn’t the teaching. The teaching is 100%. Why? Because it’s a question of fidelity. If a husband were to say to his wife, “Honey, you know I love you. We’ve been married for 40 years. I’m faithful 95% of the time,” would his wife say, “Why thank you! I really appreciate that you’ve only cheat on me 2 weeks out of the 52”? Fidelity is 100% or it’s infidelity. Same with God. When God asks for fidelity He’s looking for 100%. Now some people might be thinking, “Wow, I wasn’t expecting this, Fr. Justin. After all it’s Christmas.” Well, Christmas Day’s homily was encouraging, today’s is more challenging. I don’t want anyone to feel excessively badly if they haven’t been doing this. I imagine that many people have never heard this teaching clearly laid out. You’re not a bad person and certainly not a bad parent. You’re already doing a great job by being here and by caring. If what we’ve talked about in some way cuts to the heart, then it’s a sign that you have a beautiful heart. One other thing: I personally as the priest want all children to fall in love with Jesus, I want them to know how much the Father loves them. By age 22, only 9% of children who are baptized will still be practicing their faith. Because we’re losing 91% of our children, I’m passionate about reaching them and showing them the beauty of our faith and how great Jesus is. This is one of the key reasons why we’re trying to grow and improve as a parish. The world is changing so quickly that we have to adapt to reach our children. Learning each other’s names, for example, is part of growing in love as a parish. I say this to remind you that everything we do here is designed to reach people, people who have fallen away, and win the children we have here right now. We don’t have to do massive changes all at once. Don’t feel overwhelmed. It starts with deciding to go to Mass every Sunday. And then it builds from there. Let’s decide that we’re going to Mass every single Sunday and Holy Day in 2016. We want what’s best for our children. Let’s teach them to keep the commandments.